“Fantastic event! I am willing to put down $50 and say that each and every investor paying attention in the room would have walked out with something of v value. Economic update was mind blowing—reading between the lines at its best! “If one implements only 20% of what is shared at Rock Star training classes and/or events, one’s life can only improve fanatically! “Even if the content wasn’t awesome, which it is, and even if the speakers weren’t absolute experts in their fields, which they are, and even if I only found one good idea out of attending, which never happens, because I come home with pages of notes–I’d still attend! You guys always knock our socks off! The value you provide for the cost is ridiculous! I love the information, especially Tom’s economic updates—Tom puts confusing headlines and media articles into easy-to-understand, logical ideas. I especially like the part about how we can profit from all the crazy happenings going on right now. Fantastic! Just wanted to say great job again on the member conference. Sia and I really enjoyed it, especially the economic update. The economic updates are our favourite part. I like the way you put it into layman’s terms and make it easy to understand with visual aids and humour. I certainly appreciate the time and effort that has to go into the presentations. Just thought I would pass on my thanks for hosting the event last night—very much appreciated. It was great information for someone just starting into it! The parts that I gained the most benefit from were the Inner Circle interviews and the economic update. The economic update was a great high level view of things and sort of fleshed out concepts that I had wondered about. From the check-in reception (everyone saying hello, smiling and making you feel like a part of it all) Nick explaining corporations, Skyline, and Tom explaining the Economic update—FANTASTIC. Now that I’m selling my 1st RTO and closing on a duplex and student rental in June, I’ve been considering that it might be time to incorporate and will probably need to pick your brains and read up on it some more to be ready in the near future to do just that. The event was packed full of energy and information! James and Martin C were very insightful and proved that even if you make mistakes, the key is to take action—eventually we can all get there and live life on our terms. Excellent event for my first time. I am looking forward to the next one! Training classes are great cannot wait to sign up for Flipping Houses and other to educate us. Keep up the great work we’re looking for the next event, training and any information to educate us more. I absolutely LOVE the economic update! Tom has a talent for condensing the complex into something understandable! I have been coming to your Event’s for the last three years. These are powerful meetings and every time I leave I think to myself—”I am gonna buy another house.” I think your meetings are relevant to today’s busy life and I love your take on the economy and currency. Tom—your inner passion for this subject shows through your presentation. You should be the Prime Minister! Or maybe the Economic/Finance Minister—something to add to your bucket list. I think Canada would be a better place. Nick you are also a terrific speaker and presenter and I think the two of you bounce positivity off each other. It shows. I think both of you strive for continuous growth and learning. You read everything. What you learn, you share. That in itself moves you forward and that is why you are so relevant and your events are so powerful. I love that you talk about all of us and our deals. That gives me great assurance. These events keep me feeling personally connected to real estate investing. I feel passionate about it, and I think I share that feeling with many of the members in attendance including my family. As always, the Economic update was so insightful and helped us to understand the current global situation and how it affects us. Thank you so much for bringing so much value to the member event! We are always grateful for all the hard work you put into keeping us informed and well educated. By now I have attended all the classes and it ends up being the fastest 2 hours of my week. For me it serves 2 purposes, firstly, I love getting educated and these classes give me great insight and information about all aspect of investing in real estate and the current economic conditions, in layman’s terms. Secondly, it gets me energized to go out and do it. It’s similar to 50% of the people who attend a “Tim Robbins” seminar, they may have heard it serval times, but they go to get energized. To make it short, I can summarize it in three words: question, passion, people. The classes are very good introduction to the universe of real estate and they have given me the ability to look for deeper knowledge by reading books so that I can ask relevant questions and not too general questions which can not be answered. The speakers are always very passionate with real estate, which is communicative. And I could meet much more advanced real estate investors among the attendees who are helpful to talk about their experiences, particularly what not to do or what to focus on. As a novice real estate investor Rock Star really provide the information you need in order to build your real estate portfolio. From RTO, Student Rental, Multi-Unit and other real estate investing they will give you their own unbiased experience and some more. Your events are the best value anywhere! 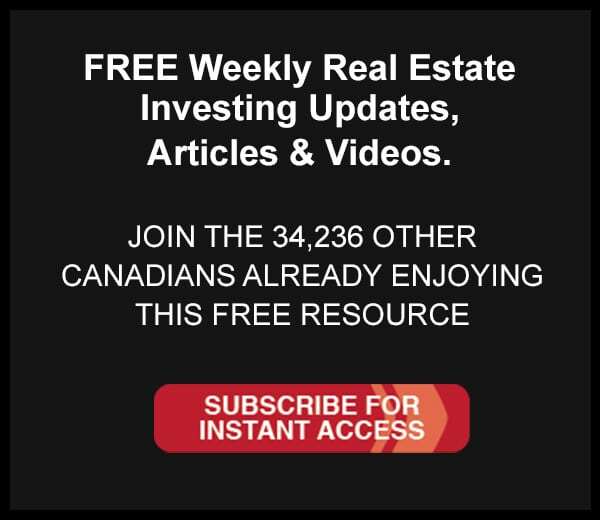 Hello Nick – Erwin gave me a copy of the “Canadian Real Estate Investing Lessons from the Streets” book recently – just wanted to let you and Tom know that it was such a fantastic read! Keep up the great work and I wish you continued success. Look forward to continuing to work with Erwin and building a great team to take action and support my real estate investment goals! First off, let me say that the member’s event was fabulous! The guest speaker was very informative and Gus & I got so much from his talk. As we are progressing along with property purchases, we found his information to be invaluable and we are on the move this week to get adequately set up in the best way possible for our business. As far as you both, I find your talks on the economy, both world and Canadian, fascinating! I wish my brain would absorb every little detail as I can’t get enough of this! Thank you for your wealth of information that you share with us to help us attain success in the business venture. I only wish I had found Rock Star years ago! One of the things I like best about the RSIC VIP program is the ability to chat with Tom & Nick about anything–real estate or otherwise. It’s like having my own personal expert advisory at my disposal. Earlier this year I spent time sharing my ideas for marketing my business and Tom blew me away with very specific ideas or where to advertise, how to advertise and what to offer. That meeting alone was worth the entire year’s worth of investment in the VIP program. If you’re on the fence I would highly encourage you to invest in yourself and join RSIC VIP. And we’ll see you at the next VIP networking dinner! I am writing to thank you guys for putting on the event yesterday. It is really great to hear your comments and also to get input from the rest of this group. Truly a good group of people to know. Personally, my situation is up in the air so I really appreciate the you allowed me to discuss what I did yesterday. The Crush it was tough to vote on given what some of these people have accomplished in a short time. So again, thanks for the opportunity to be around winners and action takers. This was one of the main reasons why I wanted to be part of this. There is power and energy in this group that helps to energize the others. Rock Star has really done a lot for me and given me the tools to bring in a nice secondary income from my properties so I feel grateful for what you have shared with me and with all the support I have received. This past year and a half or so with the seven properties I have obtained has been amazing so I will always be greatful and consider myself fortunate to be a Rock Star member. Thanks so much for the plaque last night, it was a very nice gesture. Its always nice to be recognized and you guys do a great job of it. Enjoyed last nights presentation as always, as I like hearing all about the economy and what’s going on and suggestions on how and why to enter into things such as gold & silver and for how long etc.—Great stuff! All the best to you, the team and your families for a great thanksgiving. Making a difference a lot to me in my life journey. Whether it be something T’ve done or something I’ve said. If I can’t make a difference, I usually do and say nothing. They’ve made a significant difference in my life. Thanks for sharing your ideas and your experiences. Its been a while I have stopped dreaming and setting goals after a number of setbacks and failed businesses… will start applying what I learn small step at a time. Nice office and its closer to Mississauga. I am looking at what’s next for me to fulfill my dreams and goals. I can’t say enough about everything you and Tom do, and how Rock Star has given me exactly what I need month after month. I went from two purchases in 2 years, to 5 this year (and the year is not over yet!) due to the knowledge and confidence gained from the Rock Star systems, newsletters, CD’s, and my coach. Without you guys I’d still be feeling lost! Thanks for everything and I look forward to seeing you later. I consider you guys good friends too and appreciate how my horizon has expanded due to your sharing of your knowledge and friendship. Who would have guessed in 3 years to have purchased 5 RTO’s 1 straight rental, closing this June on a partnered student rental (8 bedrooms), closing this June on another RTO, and just last week was able to partner with my son to purchase a condo for him. Also having my 1st RTO with Leslie now requesting to buy out in June. (Can’t wait for June to be over–lol) What a ride! I plan on staying around in the background just doing my thing knowing anything I need you’re both just an email away. Couldn’t have done it without all of you. The thanks belongs to you. “Amazing! I submitted my testimonial already for the member newsletter, and I got the chance to speak at the event on the “hot seat” at yesterday’s event. “I have a lot of gratitude for having found Rock Star Real Estate. Tom and Nick and the coaches have offered advice, shared their teachings willingly and have offered fellowship via their member events. The sharing of experiences has come from many sources – the monthly newsletters, the audio recordings, my coach and other members.